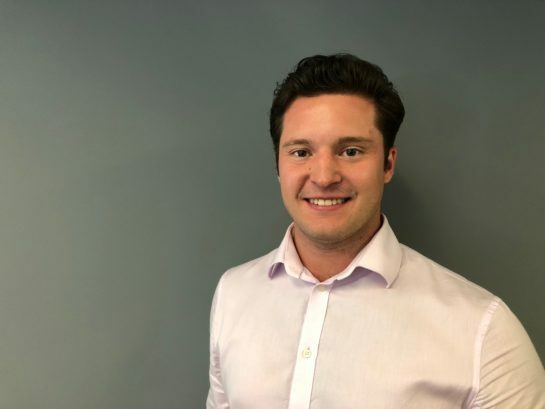 Kyle is a Senior Business Analyst at BroadReach Consulting specialising in the implementation of data, analytics and technology solutions that drive improvements in health outcomes and impact. He has a background in health with a particular passion for improving access to care for underserved populations. There is an African Proverb that asks, how do you eat an elephant? Answer, one piece at a time… I have thought of these words many times during the initial phase of the Regional Action through Data (RAD) program! RAD is a USAID-funded initiative, led by BroadReach, with a mandate to disrupt current health care models in sub-Saharan Africa by leveraging data, analytics and technology to drive policy, investment and performance in healthcare service delivery across SSA. The initial program scope is across 22 diverse countries in East and West Africa, so both the challenge and potential are vast! As a young analyst, new to BroadReach back in 2016, the challenge has been both daunting and incredibly inspiring. But much like the elephant, the team has approached it bite by bite. To achieve these goals, we knew we needed strong partnerships; RAD therefore has partnered with the West African Health Organization (WAHO), Intergovernmental Authority on Development (IGAD), Duke University, and Jembi Health Systems to co-create the program. We agreed on the central philosophy of a user-centered approach, collaboration and sustainability. As a result, our first year focused on a landscape analysis and evidence study. Our aim was to define the priority health areas and challenges in East and West Africa, and define the strategic and future implementation trends of the program. This meant engaging key stakeholders within each partner organization, conducting research into health information systems, digital health projects and data-sharing policies across SSA, identifying critical gaps and observing learnings from existing initiatives. The result of this collaboration is a landscape analysis that now serves as the foundation for the RAD program in delivering real impact for stakeholders, and ensuring that it’s both complimentary to existing initiatives and sustainable. Epidemic-prone disease emerged as the priority health area in West Africa. Firstly, epidemic-prone disease emerged as the priority health area in West Africa. There is a need to strengthen information sharing and coordination of response efforts in cross-border regions, given the extensive movement of people throughout the area. In response, RAD is now working to create regional disease risk maps that can alert member countries of threats on their border. The second health priority that emerged was maternal, neonatal and child health in East Africa. There is a need to strengthen continuity of care across international borders, given the extensive movement of people throughout the region. Today, RAD is working with IGAD and Jembi to implement a Cross Border Case Management Solution (CBCm) that supports patient immunization services across national boundaries. I’m excited to share this landscape analysis with the larger digital health community. You can learn more about the findings from the Landscape Analysis by following this link to access the report. I am really looking forward to getting into the meat of the RAD program as we build out the solutions to create real impact!